BaySpec's family of OCI™ hyperspectral imagers are designed to address the image quality and ease-of-use issues in legacy hyperspectral imaging systems. These cameras feature the smallest sizes and lightest weights of their class. They rely on intensive software effort for geo-correction or ortho-rectification. The imagers have "true" push-broom imaging, high shock resistance, shielding from electromagnetic interference, and are able to scan at random speeds. 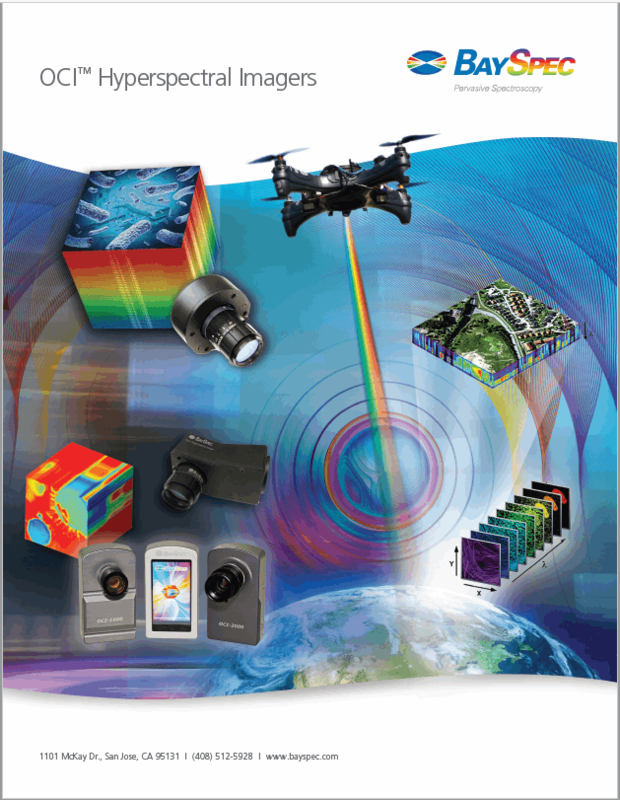 To learn more about the different OCI™ hyperspectral imagers, download the brochure.